Included with every account is the cPanel online control package makes life easier for clients and the website owners they serve. It offers easy-to-use, powerful tools that perform essential tasks quickly, easily, and reliably. Try out the demo below and see what this software can do for you. 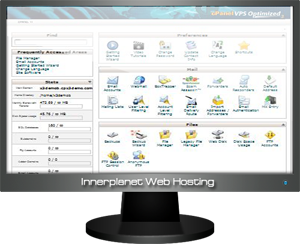 The cPanel interface is intuitive and includes video tutorials with on-screen help. This allows you to manage your own accounts without needing to contact your support staff for assistance. Novices can also benefit from the Getting Started Wizards included within cPanel itself and of course we provide a full, easy to understand video tutorial library to watch. See our video library here. 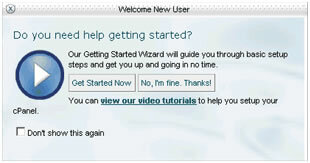 The new getting started wizard walks you through setting up all the aspects of your web hosting account. 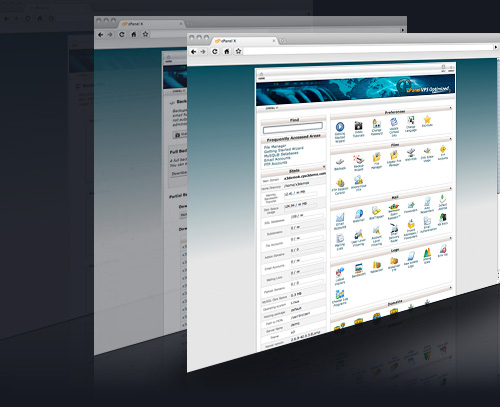 When you first login to your cPanel control panel you will be greeted with the popup window as shown below. cPanel includes a multitude of useful website statistical programs to choose from. Main Screen: You can the various sections to suit your needs. Foer example, you may want the website statistical programs at the top when you login . The Mail management area in cPanel allows a user to easily perform many different tasks associated with your email accounts. 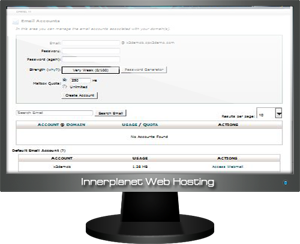 This includes creating email accounts, forwarding emails, custom mail filtering, , etc. 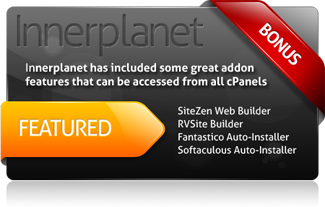 Innerplanet has included some great addon features that can be accessed in every user's cPanel! 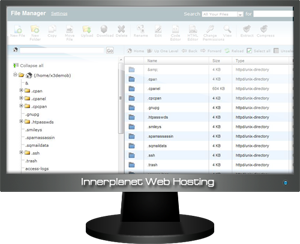 This screen allows you to upload and manage files contained within your home directory. The File Manager will open inside your browser and will allow you to add, remove, and move files associated with your account. See our file manager Video Tutorial here.